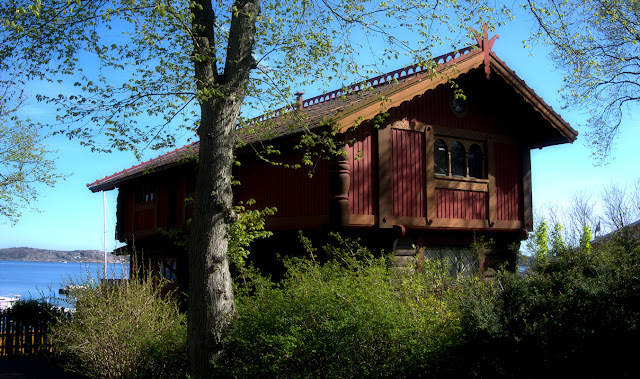 Around 1880-1905 we had in Norway a popular architecture called the "Swiss dragon style villas". A blend of architecture style from Switzerland mixed with some details from the old Stave churches in Norway. I.E. dragonlike tree figures etc on the roof, corners of the building etc. 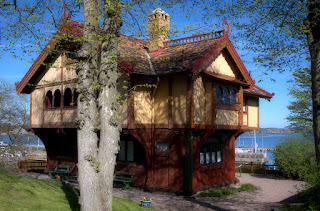 It seems also the Curmann family in Lysekil liked this style as they made their own houses within this concept. For sure a most unique architecture in this small former fishing village.